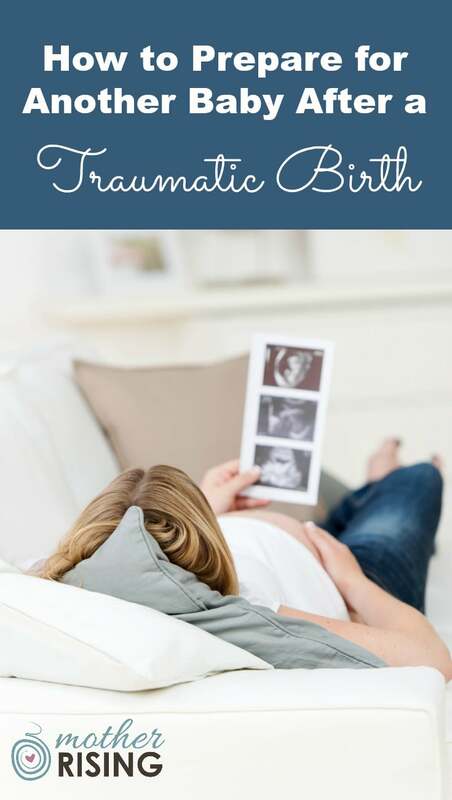 If you’re pregnant again and need to know how to prepare for another baby after a traumatic birth this post is for you. I hope that the words below will be the beginning of peace, wisdom, strength, courage and healing for you and your family. Ask any woman about her birth experience and if given the space will share as if it happened yesterday (even if it was thirty years ago). Birth is not simply a medical event but a significantly transformational process that brings about unprecedented change. The things that happen and are said at births impact how we see ourselves as women and mothers. Birth changes us. Birth matters. Contrary to popular belief, it doesn’t matter where you give birth or what type of birth you have, anybody can experience a difficult or perhaps even traumatic birth. A woman can have a waterbirth with dolphins and unicorns while five doulas simultaneously fan and feed her grapes, but still have difficulty processing all that happened. She may be unhappy with her birth experience even if she and her baby are healthy. And that’s ok. I am not a clinical psychologist, but work with women as a childbirth instructor and doula. Therefore the following advice isn’t from a “professional counselor”, but comes from my personal experience and what has worked with people in my community. Some of the advice will work well for you, and some may not. Take what works and leave the rest. NOTE: Partners may have a similar need to prepare for a new baby after a traumatic birth. The advice below can be applied to them as well. After an ordeal, we often enter into “survival mode” which helps us cope with significant change by allowing us to focus only on what absolutely has to get done. A few weeks or months of this is pretty standard after having a baby. There usually is no other choice! However, after some spending time in survival mode we sometimes become so accustomed to this way of living that we forget that this is actually not our normal state of being. We forget that we have to take time to process and heal in order to move forward out of survival mode. One of the first steps to prepare for another baby after a traumatic birth is admit the need for healing and recovery. Just as we allow our physical body to heal and recover, we need to let the other parts of ourselves do the same. I’d like to think that our traumatic birth experiences fall somewhere along a spectrum rather than being simply defined as traumatic or not traumatic. Depending on where a woman falls on this spectrum will determine the intensity and resources needed for her recovery. It may be helpful to take an inventory of the symptoms of disorders such as PTSD. Notice how many of the below symptoms sound familiar or totally foreign. Now that a certain level of awareness has begun, the next step is to gather a support network to aid in recovery. Trust me on this one, a support network is not optional. As much as we would like to heal by ourselves, avoid vulnerability and continue to portray a facade of health and wellness, the fact of the matter is that people heal in the context of relationship with other people. The desire to heal in isolation is just wishful thinking. TIP: If you’ve been burned in past relationships and struggle with discernment on how to choose safe people, a recommended resource is the book Safe People by Henry Cloud and John Townsend. Another thing to do when preparing for another baby after a traumatic birth is to figure out what happened at the previous birth. Perhaps up until this point, you’ve tried to NOT think about what happened, but at some point it’s important to gather information to try to get a better picture of what happened. At first, it’s important to just focus on the facts. This may simply look like requesting medical records and other pertinent documents to help fill in any gaps. Next, talk to your doula or other support people that were at the birth. When hearing other people’s story, it’s important to listen as objectively as possible to their perspective of how things happened. Remember, everybody experiences things from a unique perspective. Their perspective is not wrong or right, it’s just theirs. After gathering information and figuring out exactly what happened, the next step is to tell your story. This is one way your support system is useful – you need to share your story with them. To be heard, listened to and validated is incredibly healing. TIP: When sharing your story tell it from your perspective. For example, instead of saying that the doctor was a jerk, try saying when the doctor said this and made this decision it made me feel _________ and I _________. Throughout this whole process, but especially while telling and hearing these different perspectives and stories, notice what I AM statements come up. An I AM statement is a belief you have about yourself that you say to yourself (internally), often times without any awareness of it even happening. For example: I am patient, I am weak, I am doing my best, I am a failure, I am loving my baby, or I am confused. As you notice these beliefs, write them down. Listening, becoming aware and then writing down what you notice will begin a practice of deep listening. Now that you’ve created a list of these I AM statements, consider whether or not if these statements are working for you. Do these beliefs actually align with the truth? What is the truth about yourself? At this point it may be helpful to share these beliefs with your support group or a safe person. If these I AM statements are not working for you, what I AM statements align more with truth? Take some time to journal or share with a trusted person what you learn. Another way to prepare for another baby after a traumatic birth is to remember that this upcoming birth will be unique. It will be its own story, with its own plot and characters. It will be this new child’s birth story and not what you’ve already experienced. The thing is, however, our brains have this traumatic birth experience and really, really wants to compare it to the upcoming unknown birth. The brain assumes it will be the same because it doesn’t know anything different! Unfortunately, when our brain thinks that the same hard birth is about to unfold, our body responds physically. A woman may notice feelings of anxiety, tension, anger, suspicion, isolation, etc. However, this new birth, no matter what the brain says, will be a unique and different experience. This is a brand new baby, moment in time and you are a new you too. It’s important to expect a unique birth. Another way to prepare for a baby after a traumatic birth is to take a holistic, evidence based childbirth class (even if you took a class with a previous pregnancy). Holistic childbirth classes are important because as you now know, birth is not solely a physical process but a whole body experience. Because of this it makes sense to prepare for childbirth as a whole person, and not simplify it to only learning about anatomy or the stages of labor. Evidence based childbirth classes are important because they encourage parents to make the best decisions for their families without involving another person’s opinion or bias. Taking a childbirth class for this new pregnancy will give you and your partner scheduled time each week over a series of weeks to pause regularly scheduled programming for a chance to talk about this particular pregnancy, birth and baby. In my experience, holistic childbirth classes like the ones I teach are extremely helpful, especially to those who’ve had a previous traumatic birth experience. Parents walk away feeling more relaxed, confident and even excited about their upcoming birth. In addition to taking a holistic childbirth class (or perhaps even as part of said childbirth class) it’s important to address fears as they come up during pregnancy. Anxiety during pregnancy can manifest itself in many ways – headaches, fatigue, poor appetite/diet, lack of sleep, irritability, etc. The thing is, especially for those preparing for a baby after a traumatic birth, the feeling of fear in our body could possibly impede the natural unfolding of the birth process. During pregnancy we should strive for peace in our minds, bodies and souls so that we and our babies, can experience health and wellness. Addressing fears does not make a fear more likely to happen. That’s simply not true. However, naming them and working through fears perhaps along side a support network, will actually facilitate peace in the mind and body. Head on over here for the ultimate list of amazing natural remedies for anxiety during pregnancy that have worked for me and those in the Mother Rising community. For me, daily prayer and meditation in the word of God is what got me through trauma, helps me recover from trauma, and will help me cope when I experience triggering circumstances (of which seem to be inevitable). Admittedly, I did not have a traumatic birth, however, I am no stranger to trauma. 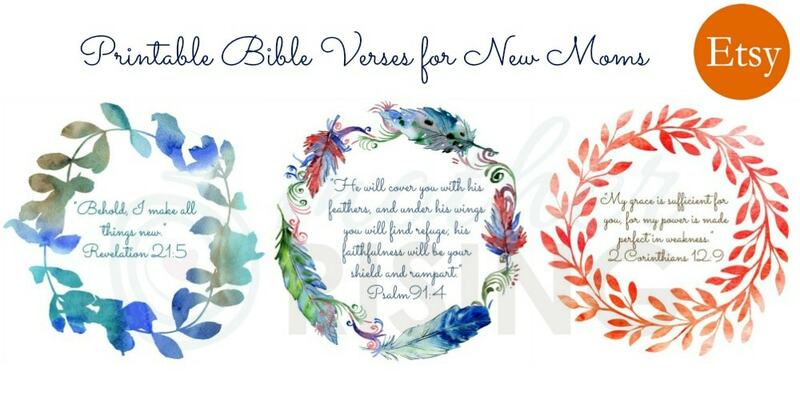 I can say with utmost certainty that these 43 powerful bible verses for new moms can carry believers through the trials of birth (and life). Would you leave a comment? I’d love to hear from you. What do you think about this article? Have you been through a similar process? What worked and didn’t work from you. Thank you! This is an excellent article. Thank you for writing it. As a UK-based birth educator and doula – I resonate and agree with every word you say. A big thumbs up. Am sharing on my newsfeed now. Thank you Mother Rising! After having a very traumatic first birth, I did all of the above things especially just talking about my experience helped to process how I felt. I have just recently given birth to my second georgous baby and had a completely different birth and was so empowered and amazed by the whole thing and feel so positive about bubs birth 🙂 I would absolutely encourage women to find a safe person to talk over their birth experience with. Thank you so much for sharing your experience! I really appreciate it. Congratulations on your new little one! Loved this article! Having had my first and traumatic birth almost two years ago, I did follow some of these steps, especially the support system and talking about it. I couldn’t have started enjoying my new baby if I didn’t find a way to process it all. This concrete list gives me a direction and hope that when we decide to have a second one, I’ll be sure to follow! I had a traumatic experience when my second child was born. It was a homebirth, and even though everything went well from a medical standpoint, the pain of labor was so great that it left me reeling. When I got pregnant again, I was terrified of giving birth and having to go through this again. I decided to have this baby at the hospital with an epidural, but I still had considerable anxiety over not making it in time or the epidural not working. While I was preparing for this birth,I met with the doula who had accompanied my second labor, and I went to a PPD support group that was offered by a labor nurse at the hospital. Together with them I talked through different options of approaching the upcoming labor and birth. In the end, I decided to ask for a scheduled induction which would ensure I’d be at the hospital in time for effective pain relief. Luckily, the OB agreed and I was able to come in for the induction at 39+2. This all sounds straight forward now, but at the time I was so terrified. Now my third baby is 4 weeks old. Everything worked out wonderfully. My contractions picked up right away after I got Pitocin and the doctor broke my waters. I asked for the epidural about half an hour later. The epidural worked beautifully and I was completely free of pain as soon as it kicked in. My baby was born in one push (!) about two hours later. And there was no pain. I would encourage everyone who had a traumatic birth experience to consider all the options when preparing for another labor – including pain relief or even a scheduled c-section (which I considered as well). This is not about ideology, this is about what you and your baby need to have a good start with a healthy and happy momma. I am so, so happy I was able to figure out and effectively ask for what I needed this time around to make it better. Talking to the labor nurse really helped since she could explain all the procedures and what to expect at the hospital and was able to give me advice on how to make sure I would get what I needed. On a personal note, I am grateful everything went so well. I love and enjoy my baby, and I am not dealing with PPD this time around, which I’m sure is also a result of this little one’s happy and easy delivery. I wish all of you lots of strength and luck on your journey and a happy and easy delivery as well!